We had a great time in sunny Orlando at IHRSA 2016. 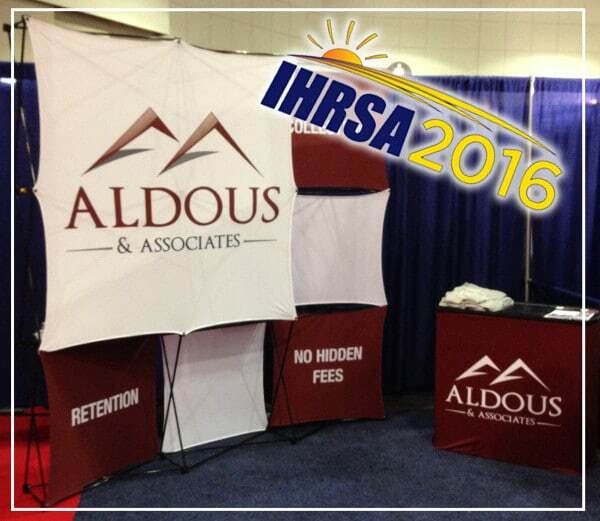 IHRSA is such a great opportunity for us to meet face to face with many of our clients. We enjoyed making connections and hearing about the great things that your businesses are doing. Likewise, we loved meeting new friends and are excited to start collection efforts with many of you. IHRSA is a great opportunity for us and our clients to see what is new in the health and fitness industry. We are excited to be part of such a successful and growing industry. At Aldous & Associates we pride ourselves on our competitive splits and strong collection efforts that help our clients get more money back to their bottom line. We encourage you to discover the many reasons that set us apart from our competitors. Call us today!